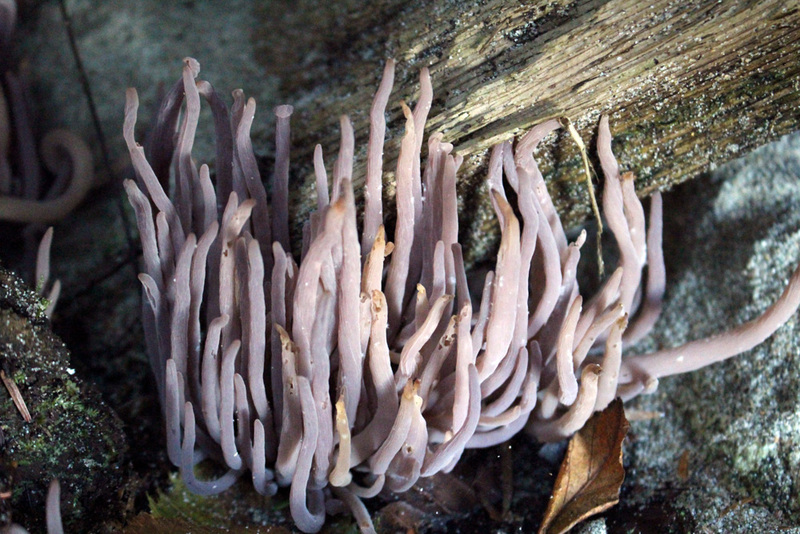 Purple club coral is a coral fungus, an aptly-named family of fungi that in appearance resemble coral found underwater. 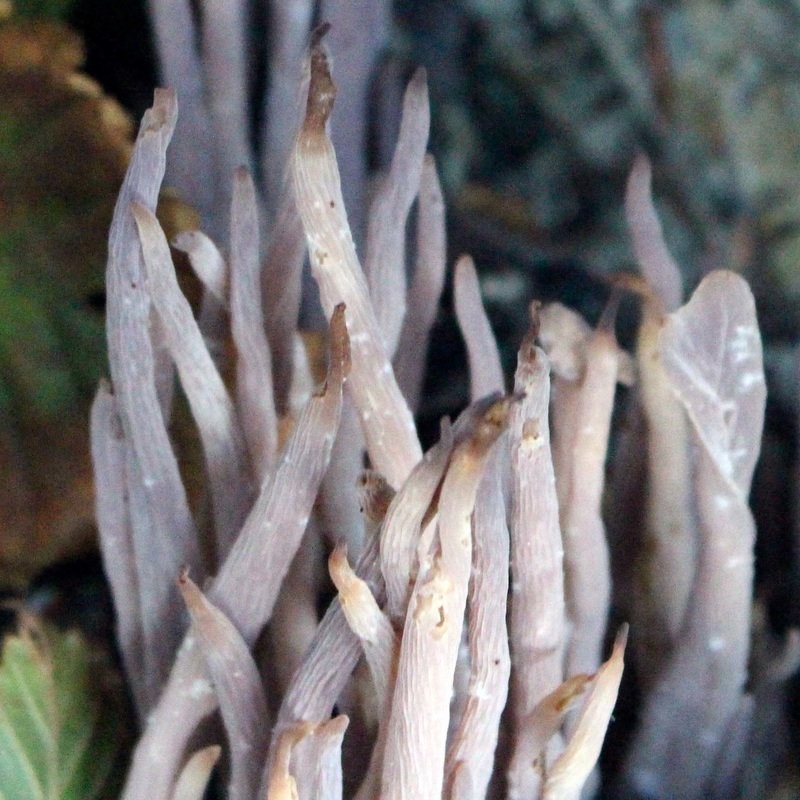 This particular coral fungus is composed of long, thin, unbranched clubs with tapering or pointed tips. These spindle-shaped clubs, which are circular in cross-section, grow to 12.5 cm tall and 0.5 cm in diameter. 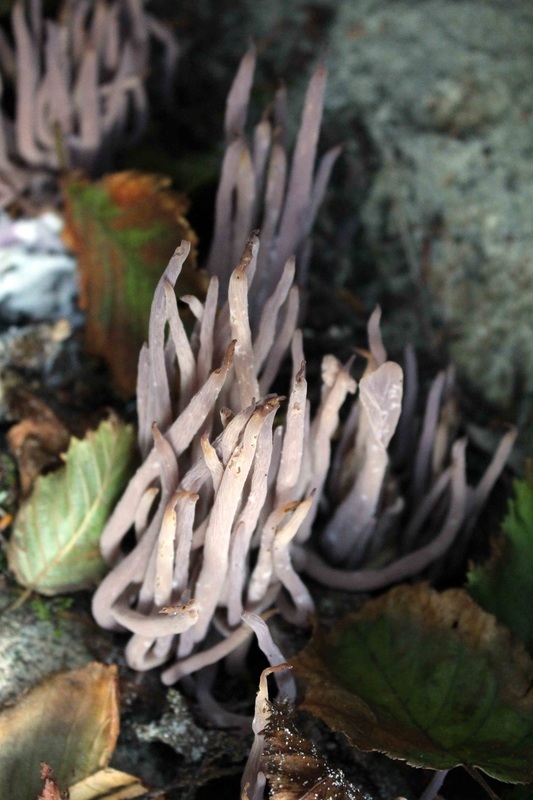 This fungus's purplish hue may vary from relatively vibrant purple to greyish- or brownish-purple. The purple club coral grows in clusters and is visible at varying times between spring and early fall (presumably dependent on location). It grows on wet soil, either among grass or on bare earth, close to conifer trees. It commonly grows in mountains. It is found across northern North America, where it is most common in the Pacific Northwest and the Rocky Mountains. It also grows in some mountainous areas of southern North America, as well as some areas of Western Europe. ​The purple hue and slender spindle shape help distinguish this fungus from similarly coloured or shaped coral fungi; other purplish species are either branched or are much thinner and taller. This species is edible, but it is reported to be tasteless or slightly fishy. Gibson, I. Alloclavaria purpurea (Fr.) Dentinger & D.J. McLaughlin. In Klinkenberg, Brian (Editor). E-Flora BC: Electronic Atlas of the Plants of British Columbia. Lab for Advanced Spatial Analysis, Department of Geography, University of British Columbia, Vancouver. Accessed 13/10/2015. Lincoff, G. H. The Audubon Field Guide to North American Mushrooms. New York: Alfred A. Knopf, P. 400.